These things always create conflicts in me. I liked it, it’s a major philosophical work. 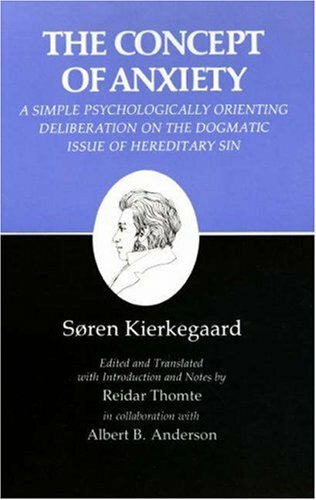 Kierkegaard’s influence on contemporary thinking is unquestionable, thanks to little details such as being the first existentialist, having an incredibly creative mind that made him a relevant figure in literature, psychology, theology… However, it’s not something I can relate to, or agree with (I’m not quite comfortable saying this, but well, it’s the truth). Reflections about anxiety, which, according to Kierkegaard, existed even before the original sin. He states that it can make you sin, but it also may lead you to salvation. He’s not talking about just one form of anxiety, he explores a lot of them. This book may give you a new perspective on life, if you can relate to its content. If not, it’s still a truly interesting reading. I read this a while ago and, although it wasn’t easy, I’d like to come back to it, someday.